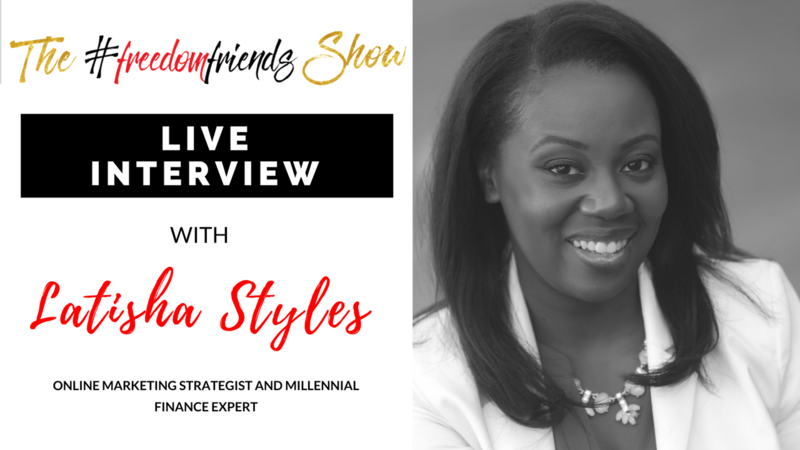 Today we talk about Latisha Styles, an Online Marketing Strategist and Millennial Finance Expert where she helps business owners build an online presence so they can effortlessly gain clients online. Latisha and I have the best opportunity to talk about the importance of Online Media as it is the fastest medium of communication in order to make effective augmentation of business approaches. How business could be greatly affected when new era of administration will exist? How to improve business approaches by means of subscribing online coaching? How to overcome social problems which probably affect the business we introduce to the society? Why people should be aware about trending information? LaTisha “Tish” Styles is a nationally recognized millennial personal finance expert and digital marketing professional. She is the founder of YoungFinances.com and President of Financial Success Media, LLC. Through her signature training programs, LaTisha helps service based entrepreneurs build a lead generating system to attract new clients. She has been featured in The Economist, quoted in Forbes, and mentioned in U.S. News and World Report as a top personal finance expert to follow on Twitter.